One of the most beautiful protected sites in Europe and home to Château Léoube . Sitting along the French Riveria is 70 hectares of vineyards and 20 hectares of olive growing to the edge of the sea. Château Léoube is devoted to growing the grapes and olives following a back-to-basics philosophy, a belief in strengthening the land’s biodiversity and natural defenses by employing traditional growing methods and using only natural, non-toxic treatments. As such, the grapes and olives are all harvested by hand, in tune with the seasonal and lunar cycles. The owners are the founders of Daylesford Organic – one of the UK’s most sustainable farms. And did we mention Romain Ott has been making the wine since 2000? 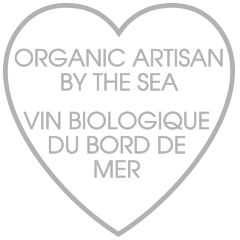 This elegant Provencal rose wine has an unusually soft mouthfeel, with flavours of wild strawberries, hints of pineapple, and red berries. 40% GRENACHE, 40% CINSAULT, 10% SYRAH, 10% MOURVEDRE. Hand harvested, direct press, natural alcohol. New Releases + Trade Events. If you're ready to get started, please complete this form and return it to louise@masseywines.com.